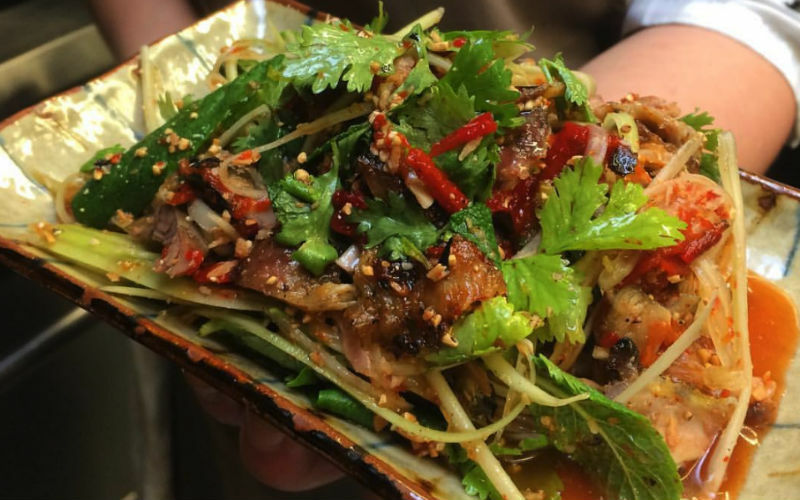 Looking for the best Thai restaurants in London? 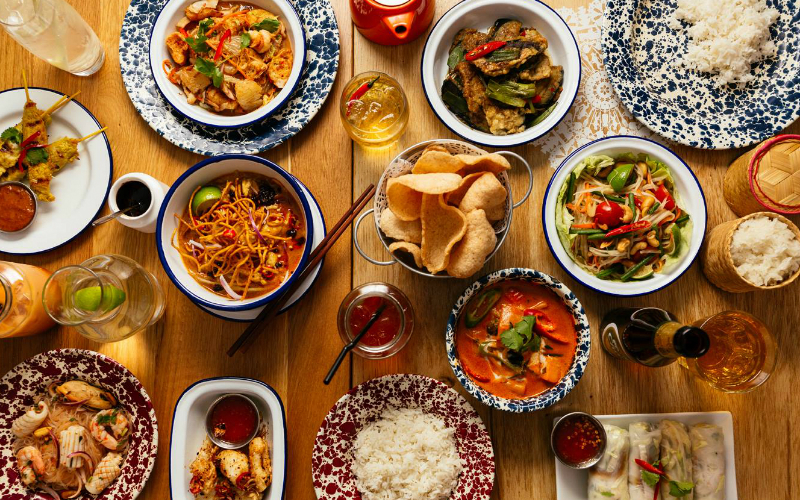 Although we love a good pad thai and green curry but there’s so much more to Thai food than that. From the new innovators such as Som Saa and Smoking Goat, to the old school authentic classics, these are the best in London. Krapow’s mission is to prove to Londoners that there is so much more to Thai food than Pad Thai and Green Curry – and they’ve nailed it. It’s cheap and cheerful but the food is bang on. The menu is pretty short, with a few small dishes and larger plates to choose from, so you can work your way through a good chunk of the menu. We loved the ‘Sai Oua’, a smoked Chang Mai-style sausage; the turkey larb salad; and the ‘Son In Law’ eggs, deep fried and served with a sweet tamarind dip. A newcomer but already one of the best Thai restaurants in London. Som Saa is all about regional Thai dishes made using a mix of seasonal British and authentic Asian produce. Their famed for their Bangkok HOT som tam but everything packs a serious punch here – the whole deep fried seabass and northern style herbal curry of Dexter beef shin are ESPECIALLY delish. The Thai inspired cocktail list is well worth a look too, you won’t see drinks like those many other places in town. Krapow’s mission is to prove to Londoners that there is so much more to Thai food than Pad Thai and Green Curry – and they’ve nailed it. It’s cheap and cheerful but the food is bang on. The menu is pretty short, with a few small dishes and larger plates to choose from, so you can work your way through a good chunk of the menu. We loved the ‘Sai Oua’, a smoked Chang Mai-style sausage; the turkey larb salad; and the ‘Son In Law’ eggs, deep fried and served with a sweet tamarind dip. If the special of Thai Fried Chicken is on when you visit, we can absolutely recommend that too. 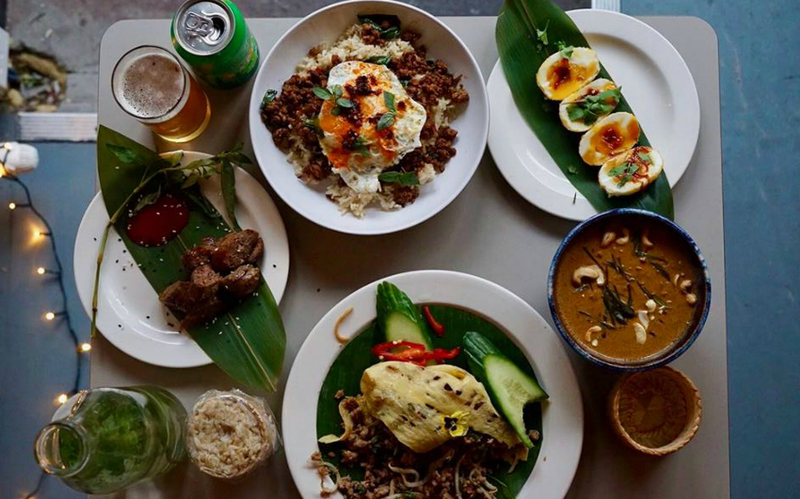 After setting up shop in Soho, Shoreditch is now the place to come for smokey, BBQ Thai food inspired by the grub you’d get in late-night canteens in Bangkok. 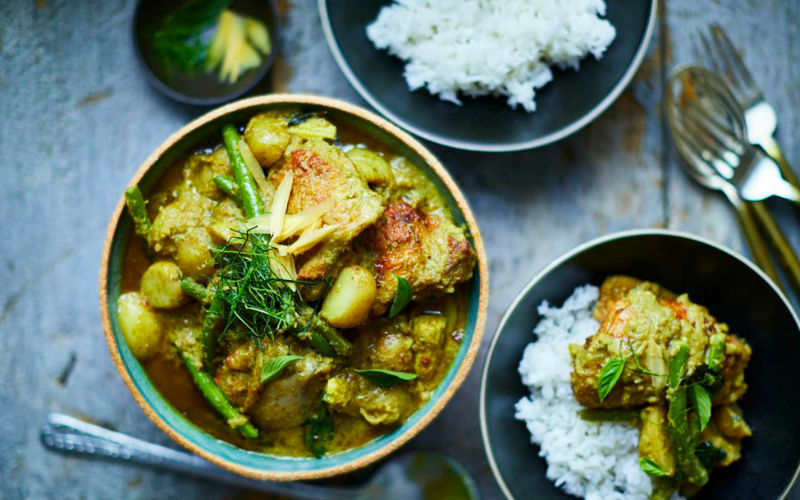 We love their freshly made rotis, goat krapow, turmeric crab curry and lardo fried rice. 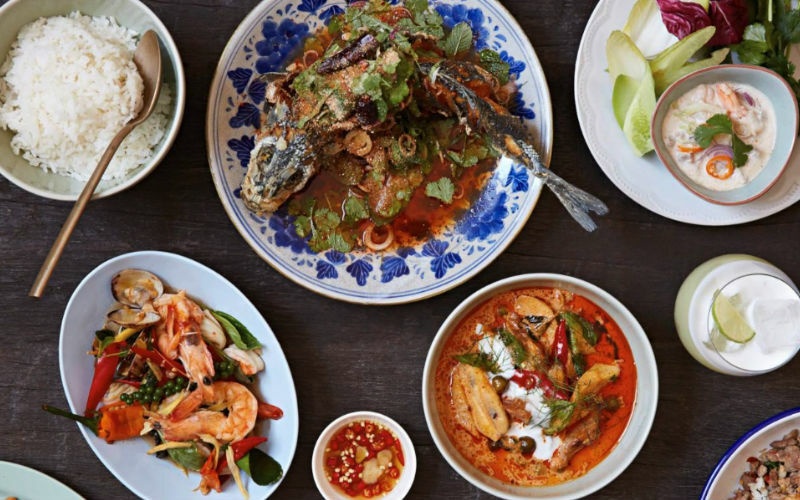 It’s all a world away from cheap pad thai and prawn crackers and has been part of a wave of restaurants that woke London up to proper Thai food. They also do a mean breakfast menu on weekends too…hello curried saffron eggs. 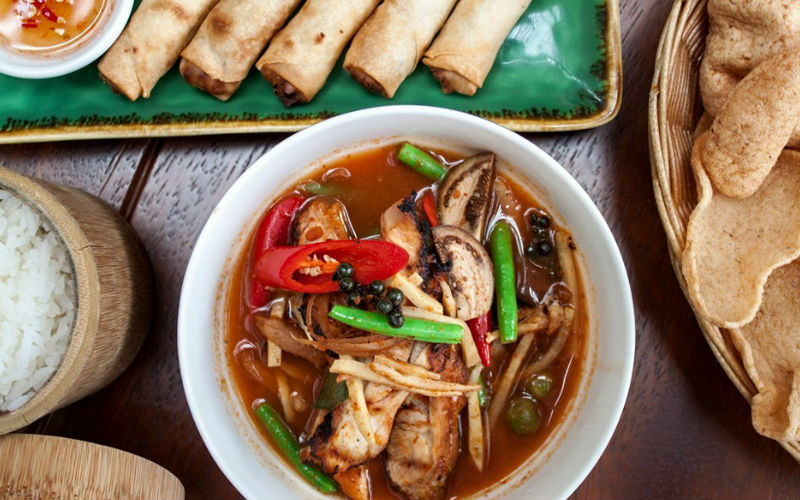 Rosa’s Thai Cafe has sites scattered across London and all we can say is… keep them coming! The serve up the Thai classics we’ve come to know and love, including pad thai, tom yum, massaman curry and drunken noodles, and the Chelsea branch is the first one with its own bar so don’t skip the boozy Thai iced tea. Inspired by Buddhist traditions and all the provinces of Thailand, The Begging Bowl serves up a short but varied menu featuring dishes like Parlow, a braised five spice pork hock with pickled mustard greens; Shan tofu with sesame and chickpea; and monkfish and coconut turmeric curry. It’s a real local fave so it’s defo one to check out when you’re down Peckham way. 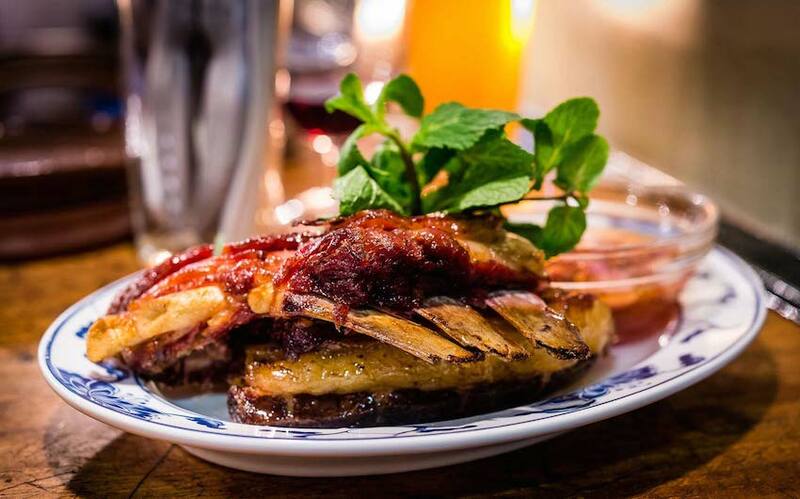 Sebby Holmes earned his stripes at some of the best Thai restaurants in London, including Begging Bowl and a stint as head chef a the original (now closed) Smoking Goat in Soho. Now at Farang he’s cooking up modern Thai grub, with dishes like crispy duck wontons with plum dipping sauce;‘Miang’ – minced prawn in betel leaves; and braised beef cheeks with mustard greens. 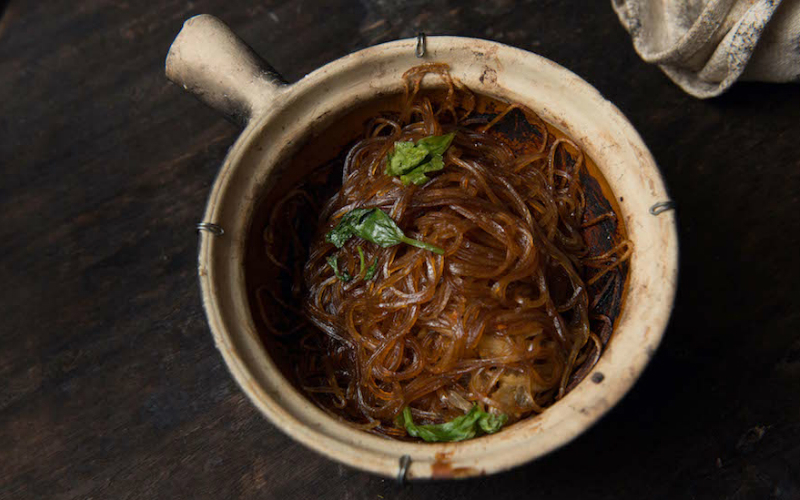 The weekend Drunken Noodle menu sounds pretty epic too, especially the eponymous ‘Drunken Noodles’ – a tea smoked duck breast stir-fried with pak choi, sweet basil, wild ginger, chilli, garlic and flat rice noodles. For the times you want casual but quality Thai food, you just can’t beat Busaba. 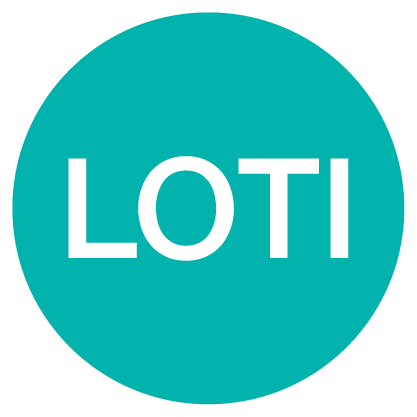 Their menu includes everything from avocado and Asian hot mint salad to guinea fowl stir-fry to red mullet, pineapple and betel leaf curry to snake bean som tam. PLUS they’ve not forgotten about vegans either, with the likes of sriracha ho fun noodle, superfood yam pak and pumpkin green curry.